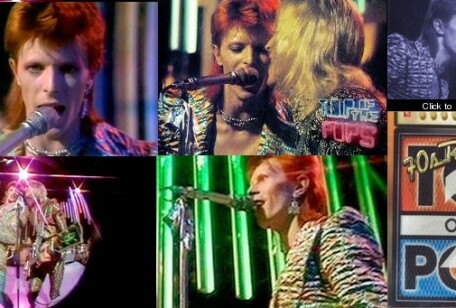 Regular readers and Bowie fans who have found their way here by accident will know that footage of Mr Bowie performing “The Jean Genie” on Top Of The Pops in 1973 has recently been unearthed. I posted about it on December 13th, just click here to read that one. Anyway, first reports said that the BBC would air the film on BBC4 next year. Then last week some news reports suggested that it would be shown today at 19.30 UK time on BBC4. 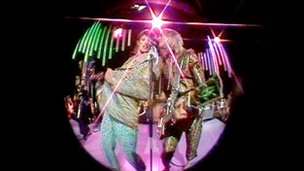 Then on Monday it was confirmed that it would be included in the Top Of The Pops 2 Christmas special broadcast at 19.30 on BBC2 earlier today. I’m pleased to say that the song appeared reasonably early in the 90 minute show and it was superb. It was recorded live in the BBC studios on January 3rd 1973 and broadcast the following day. 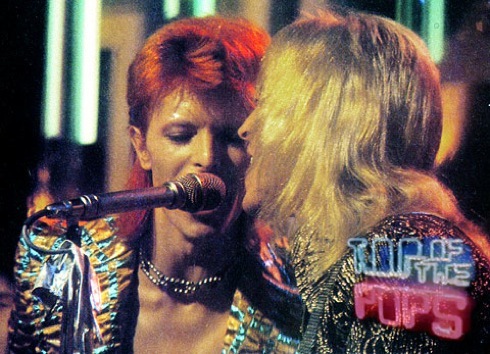 Bowie was backed by the Spiders; Mick ‘Woody’ Woodmansey, Trevor Bolder and the late great Mick Ronson. 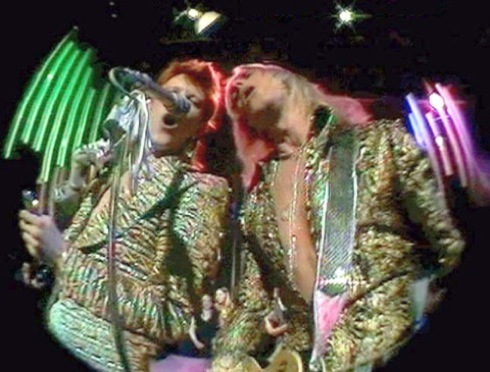 Bowie wore something far less loud than you might expect for the period; a very glam era jacket and trousers combo. Ronson had the jump suit and Bolder had those amazingly ridiculous sideburns. 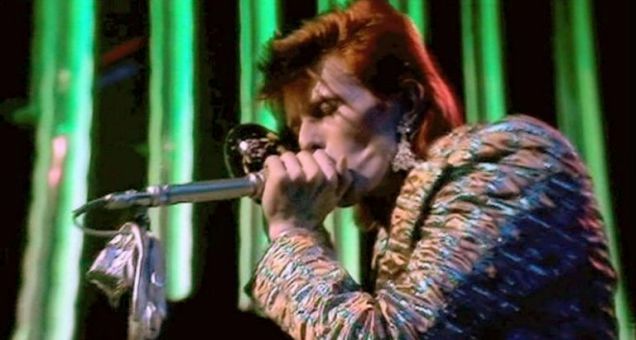 Mr Bowie also showed his prowess on the harmonica, even throwing in a short burst from a Beatles tune. Was it “Love Me Do“. It’s amazing that this is almost 39 years to the day that the single entered the UK charts. It went on to become his biggest hit up to that point when it peaked at number 2. 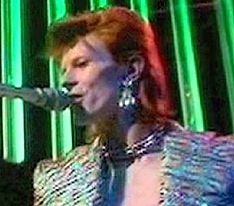 Bowie was sporting the classic Ziggy cut, the only time a slightly mullet style has ever been cool in my opinion. Was this the last TV appearance by the Spiders? Does anyone know? Bear in mind that this was just a few months away from the famous Hammersmith Odeon gig ‘retired’ and broke up the band. I’d love to hear what you thought of the clip and hopefully if you’re not in the UK you won’t have too long to wait. In the meantime click here to hear an interview with cameraman John Henshall (apologies for saying that he was retired in my earlier post about this story, apparently he isn’t) on BBC Radio Oxford and the audio of “The Jean Genie” from that show.